Hello Dealsnloot Readers,Freecharge NEW30 Free Recharge Offer, Freecharge 100% Cashback Recharge Offer, Freecharge August 2017 Recharge Loot, Freecharge Get Rs.30 Cashback on Rs.30 Recharge – After long time Freecharge is back again with Free Recharge Offer. Yes now once again Freecharge 100% Cashback Offer is back again. 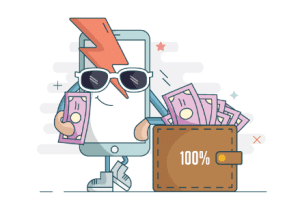 Freecharge is offering Flat 100% Cashback on Recharge of Rs.30 or more.Offer is valid only once per New User/ Credit/ Debit Card/ Mobile Number. So Hurry Grab this Loot Offer. 3) Login/Sign up your Account on FreeCharge. 7) You will get your Rs 30 Cashback in your FreeCharge wallet within 24 hours. Valid on successful Recharges/Bill Payments done till 20th Aug 2017. Applicable for New users only. Offer not valid on virtual cards and International Cards which are issued outside India.